Dr. Loft is a board certified Otolaryngologist (Ear, Nose and Throat Specialist), Head and Neck Surgeon as well as a Fellow of the American College of Surgeons. He trained at the renowned Manhattan Ear, Nose and Throat Hospital and affiliated hospitals including Memorial Sloan Kettering Cancer Center and the New York Hospital Cornell Medical Center. He has been in private practice in New York for 20 years as well as active in academic otolaryngology including resident training and surgical supervision. 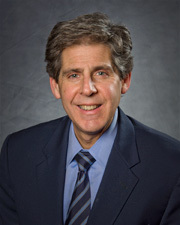 Dr. Loft is one of the most experienced physicians in the New York City area in the medical and surgical management of complex nasal and sinus disorders including minimally invasive endoscopic sinus surgery and computer assisted surgical navigation. He has been an instructor in advanced sinus surgery courses and has also published articles on techniques in sinus surgery in textbooks and medical journals. He was chosen to be included in the prestigious Castle Connolly Top Doctors New York Metro Area. Dr. Loft also specializes in the treatment of snoring and obstructive sleep apnea, hearing loss and surgical treatment of thyroid and parathyroid tumors. For the past three years Dr. Loft has served as the medical director of Manhattan Ear Nose and Throat Surgeons, a state of the art practice dedicated to the medical and surgical treatment of ear nose and throat disorders.